Just few from steps the Duomo, the Medici, in the 14th century, settled in the quarter that is now San Lorenzo / San Marco neighborhood. From this place, their power, both financial and political, grew during the 15th century, making them the absolute lords of the city and leading them to the title of Dukes of Florence and Grand Dukes of Tuscany in the 16th century. Here you find their original Palace and a church with burial chapels, the famous Medici Chapels, dedicated to the family members that are within a church designed and build by Renaissance architect and genius Filippo Brunelleschi, and an amazing chapel and library by the great master Michelangelo. Set in one location, this tour will give you a full experience of San Lorenzo church, chapels and neighborhood. 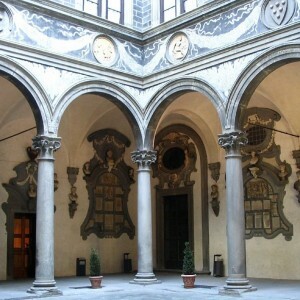 The Medici Chapels tour include a full tour of the Princes Chapel started in the middle of the 16th century and Michelangelo’s New Sacristy started around 1515. The tour focuses on Michelangelo’s legacy as an architect and sculptur, his statues inside the Chapel and his relation with Medici family at the time and the family members buried inside. On request, the tour can be followed by a tour of San Lorenzo Church with focus on Brunelleschi new style and the passage from Gothic style in architecture to Renaissance. 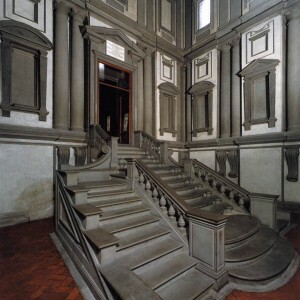 Follow up, a visit to the Laurentian Library can be planned (morning visit only) and a visit to the Medici-Riccardi Palace. 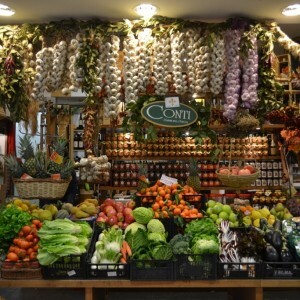 After the tour and within two minutes walk, you will be visiting a vibrant neighborhood with Florence main food market (Mercato Centrale or Mercato di San Lorenzo) around the corner. It is the right place to introduce yourself to the rich and diversified Tuscan cuisine. Duration | 2 to 5 hours approx. Fee* | From 230 Euros. * “Skip the Line” tickets not included, price around 10 Euro per person per museum. At Touring Florence, we don’t charge a commission for tickets if you book our tours. For opening hours and other information, please check the Polo Museale Fiorentino official website. Mercato Centrale, authentic Italian food shop.